Woop! Party season is right around the corner. Don’t have anything wear? No problem, your Fabric Godmother is here with a simple to sew infinity dress idea. Milano jersey is a viscose jersey and comes in a range of colours. You could also try our Venice silk mix jersey with a mixture of modal and silk it has a superb soft finish. Want to see more projects we have been involved with? I have added a new section to the website called In the press. 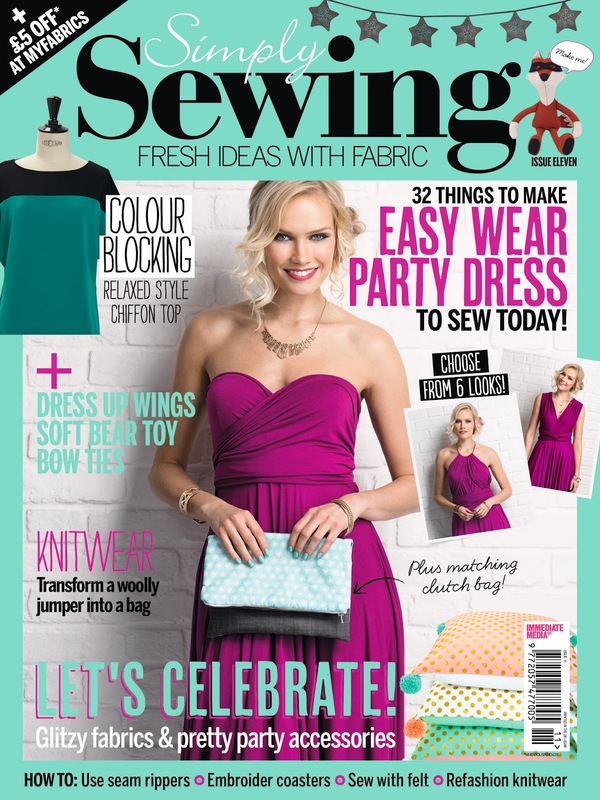 Here you can find all the information about the projects you see in Magazines featuring Fabric Godmother.